Driver for global Apache community to collaborate, promote innovation, reinforce and create new connections, launch breakout technologies, and leverage opportunities in using and developing Open Source solutions. World leading event for digital security and smart technologies. Leading provider of secure microcontrollers for the mobile and security industry. 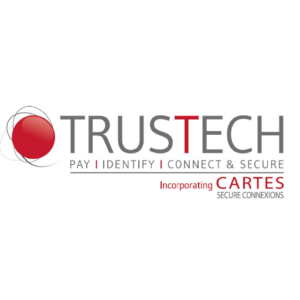 First major developer and supplier of smart cards and related technology for secure transactions, SIM cards, ID and access control. Forum for meetings between investors and emerging companies in photonics, addressing business issues in photonics, as well as increasing the visibility of the industry. Pioneer company in organic and printed electronics for large area photo-detectors and image sensors, converts plastic and glass substrates into smart surfaces. Microlight3D is a specialty manufacturer of ultra high-resolution 3D microprinting machines for industrial and scientific applications. NI (ni.com) équipe les ingénieurs et les scientifiques de plates-formes logicielles qui intègrent du matériel modulaire et s'appuient sur un écosystème vaste et dynamique. Power management technology, easy-to-use analogue integrated circuits. The Sofradir Group is a global leader in high-performance imaging technologies for aerospace, defense and commercial markets. Its vast portfolio of infrared and thermal imaging detectors and sensors cover the entire electromagnetic spectrum from visible to very far infrared. Passively Q-switched microlasers for industrial use. Customised ion exchange integrated optics for advanced systems and applications. Analogue and digital semiconductor IC design and manufacturing. Executive research forum on Open Source innovation.